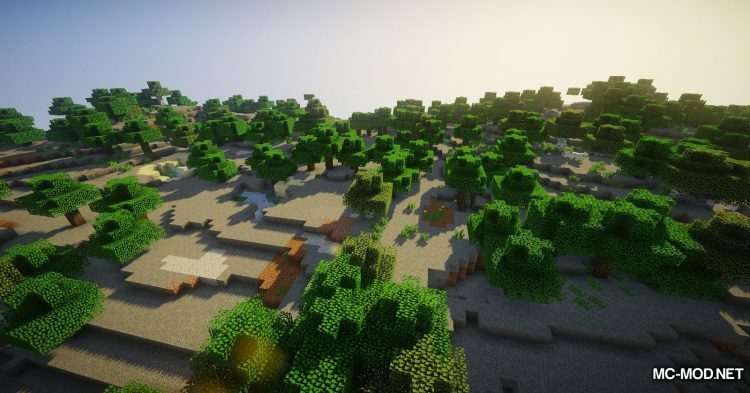 WorldGen Block Replacer Mod 1.13.2/1.12.2 is a mod that can replace blocks in your world into another block of your choice. 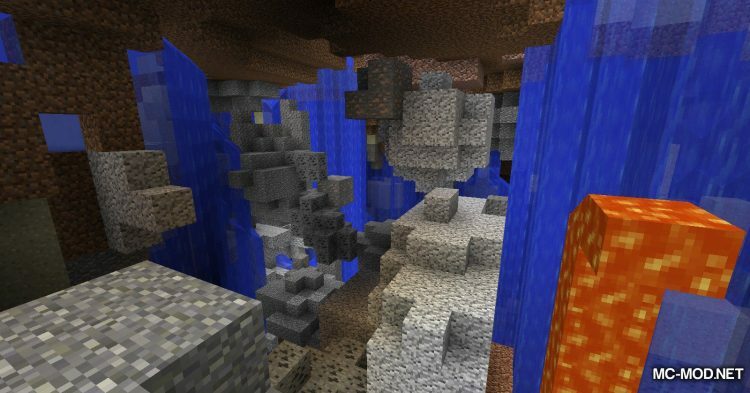 This happens when new chunk is generated, so it will not change existing blocks in your world! 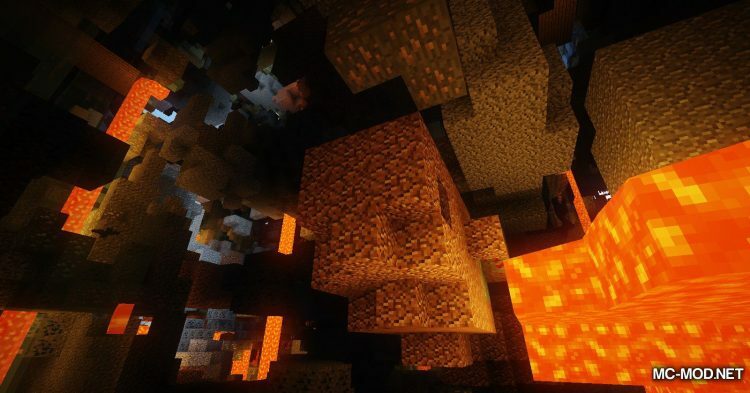 By default, the mod will have no effect and needs to be customized. 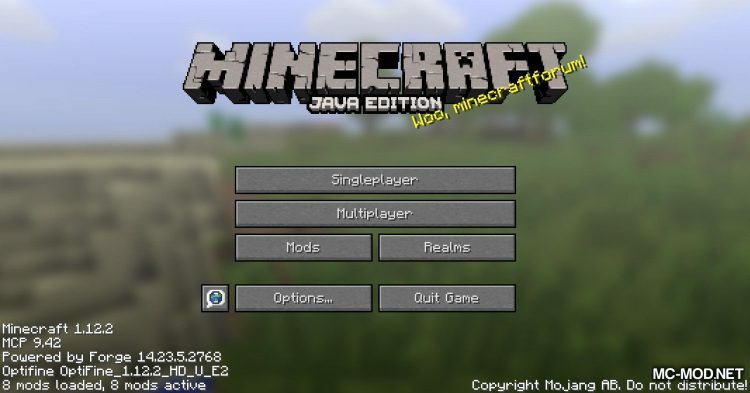 To start, on the Minecraft screen, click Mods. 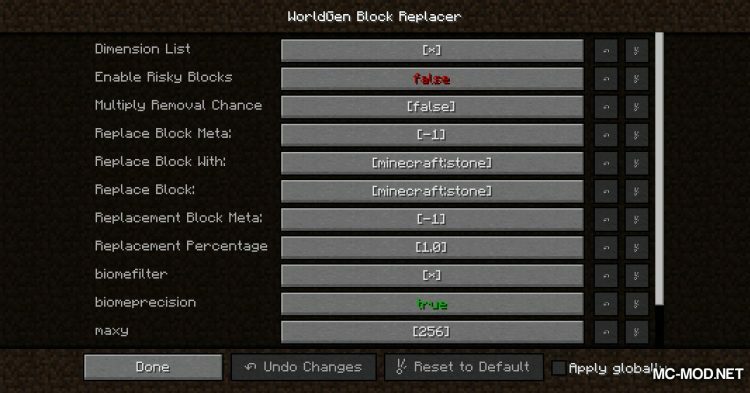 Then, go to WorldGen Block Replacer mod and click Config. 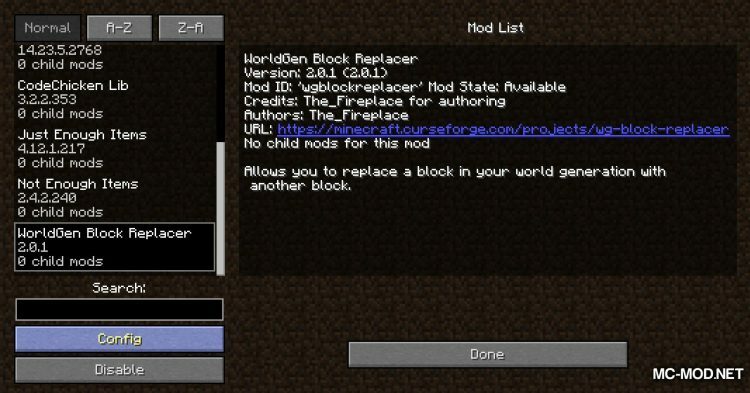 Here is the Mod’s Config screen, you can customize everything here. 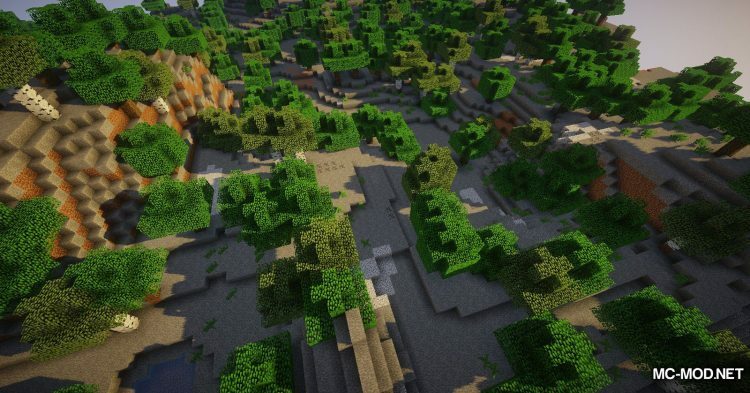 There are quite a few options for your customization here so it can be quite troublesome. 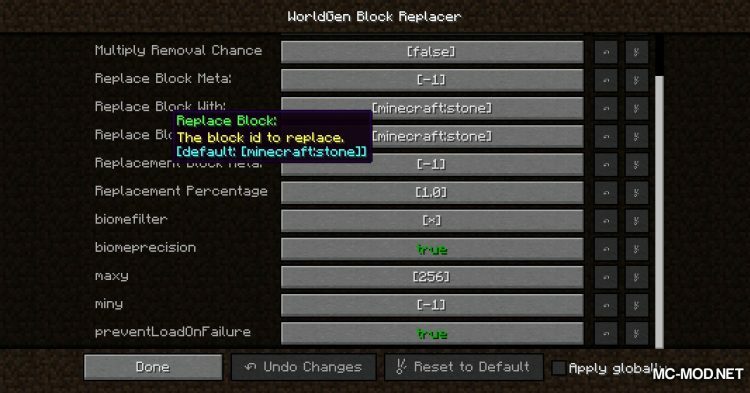 But there will be two basic options that you will use there: Replace Block and Replace Block With. 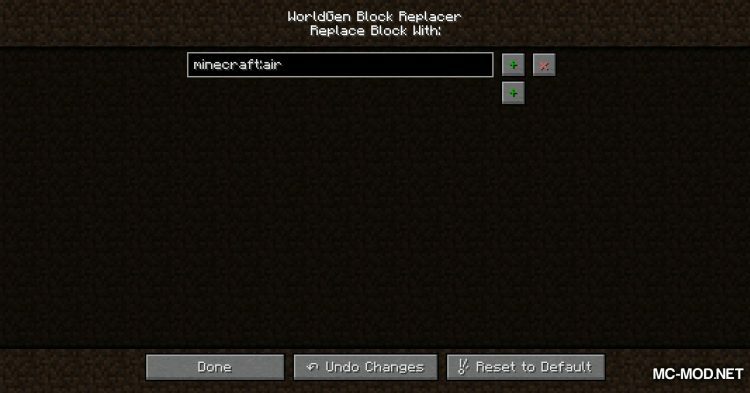 Replace Block will be the replaced block and Replace Block With will be the replacement block. 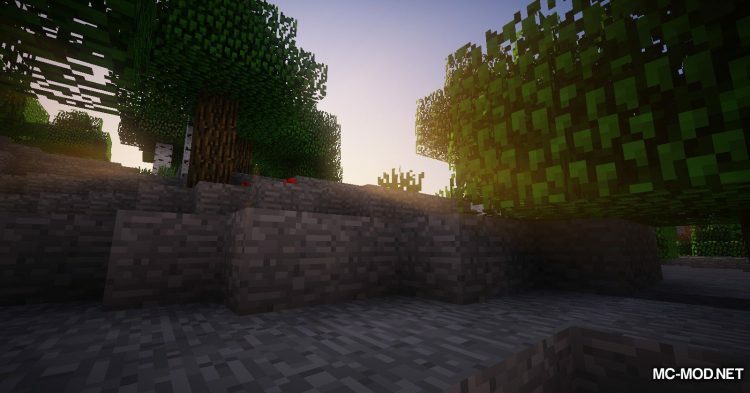 By default these two options are minecraft: stone and minecraft: stone (so the mod won’t work if you don’t customize it), but you can change these two options with the blocks you want. You can also point to each option to read what it does! 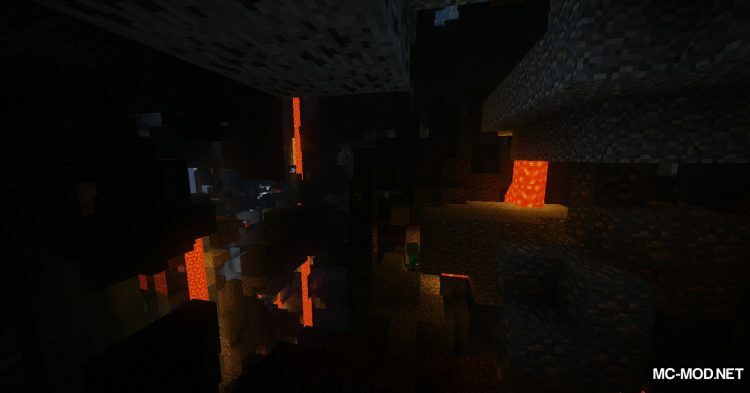 Once that is done, you can create a new world to see if it works. 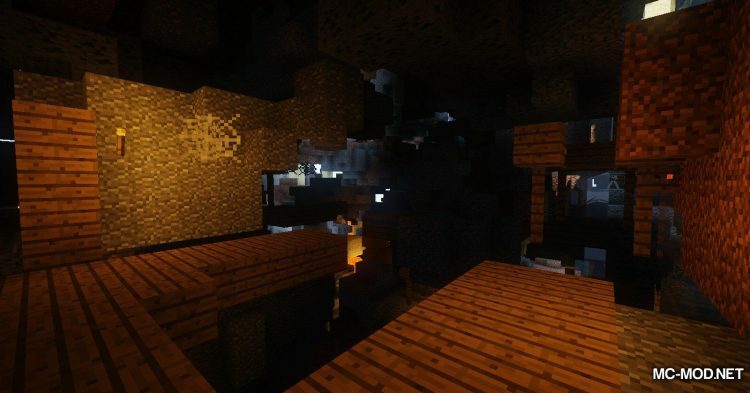 You can also find new chunk in your current world to explore! 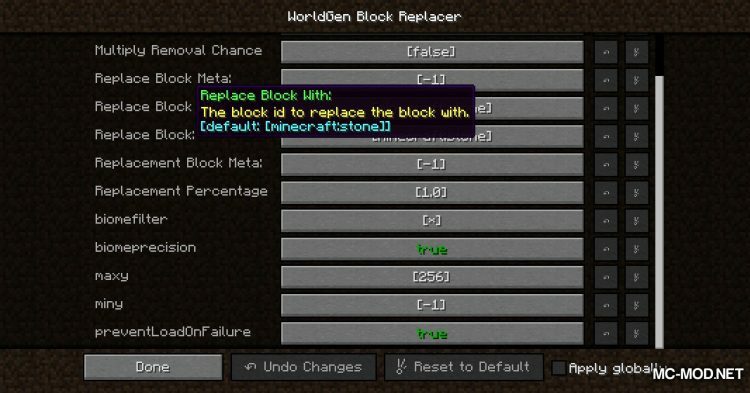 WorldGen Block Replacer is a great mod but requires a bit of persistence to use it!